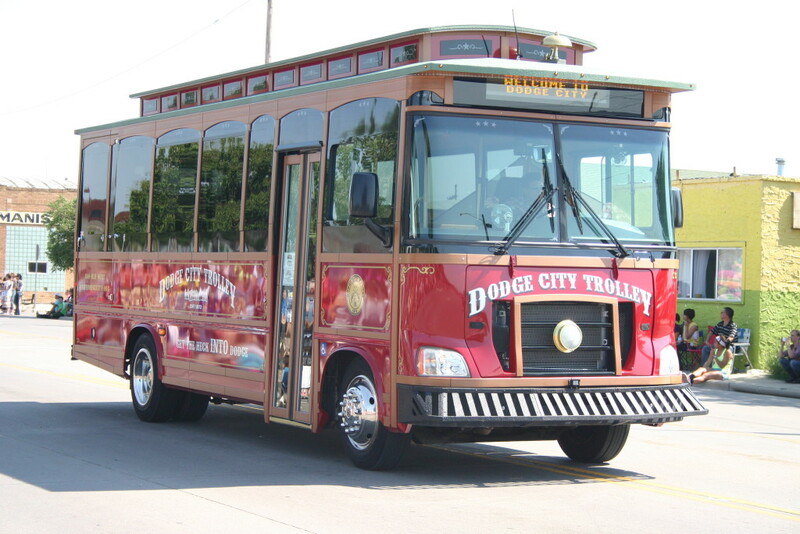 Hop on the Dodge City Trolley for a trip back to the 1870’s. Visit the original locations of the Longbranch Saloon, Gospel Hill, the “deadline”, Front Street and so much more. Tour Fort Dodge, follow the path of the Santa Fe Trail and learn a few colorful stories along the way. 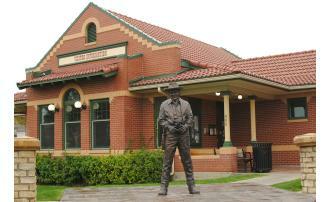 This is a great way to get your bearings with an overview of Dodge City. Then you can plot the rest of your visit by adding those locations pointed out on the tour. Daily 1-hour narrated tours are offered Memorial weekend through Labor Day. 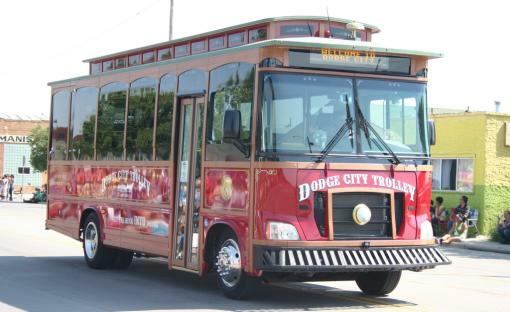 The enclosed, air-conditioned trolley departs from the Visitor Information Center. Summer Hours (Memorial Day – Labor Day) 9:00 a.m. , 10:30 a.m., 1:30 p.m. & 3:00 p.m.